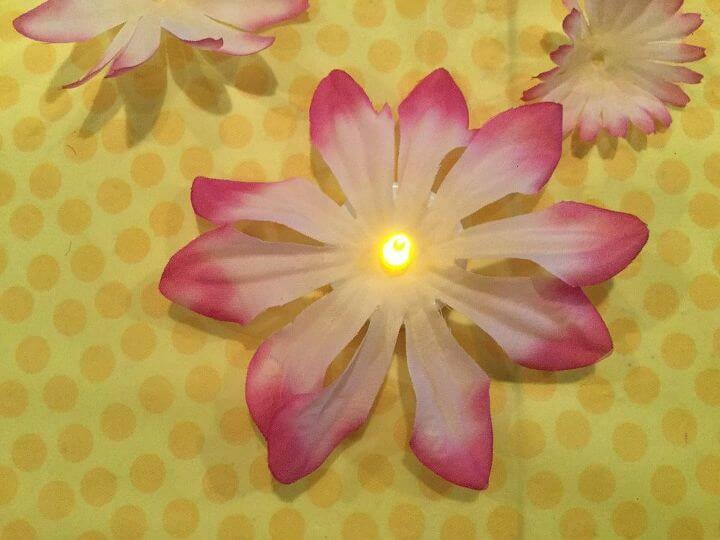 Creating an easy floral light is just a trip to the dollar store! 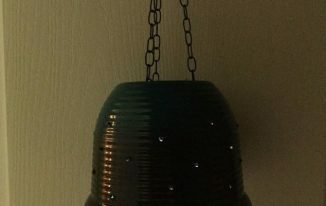 This project is simple, inexpensive, elegant, and great for so many seasons! I was inspired by this Dollar Tree project and gave it my own twist. 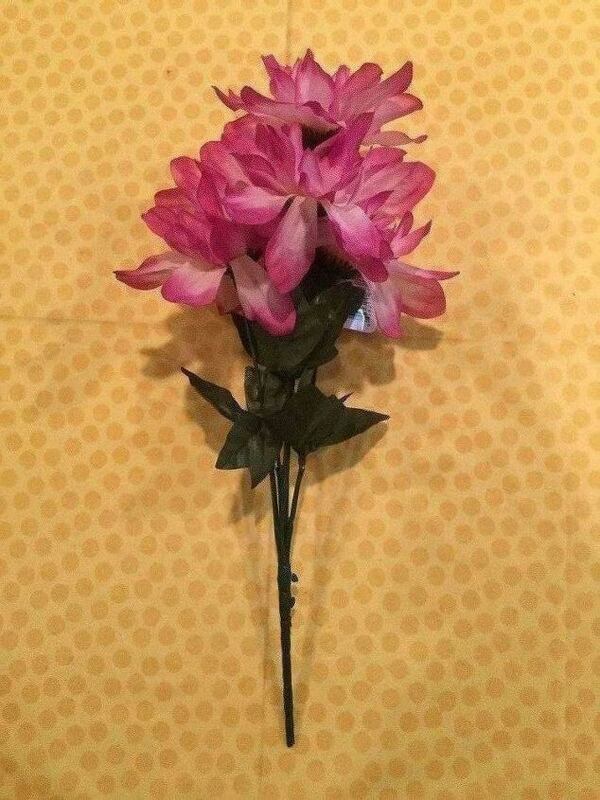 The first thing you will do is pull a flower head off the stem of your bouquet. Next you will need to pull apart all the layers of the flower head. Be sure to keep them in order as you will need to remember how it goes back together. 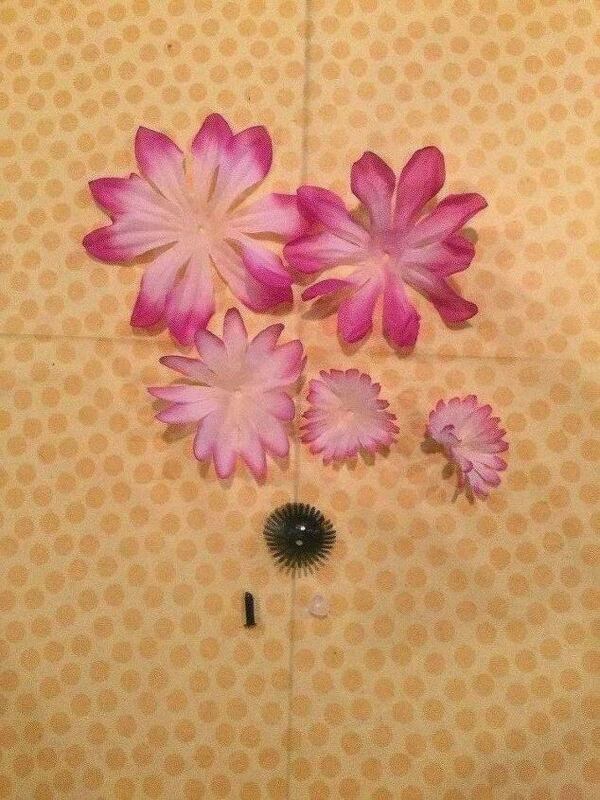 If your flower has plastic that held it together (like the green pieces in the picture) you can dis-guard those. 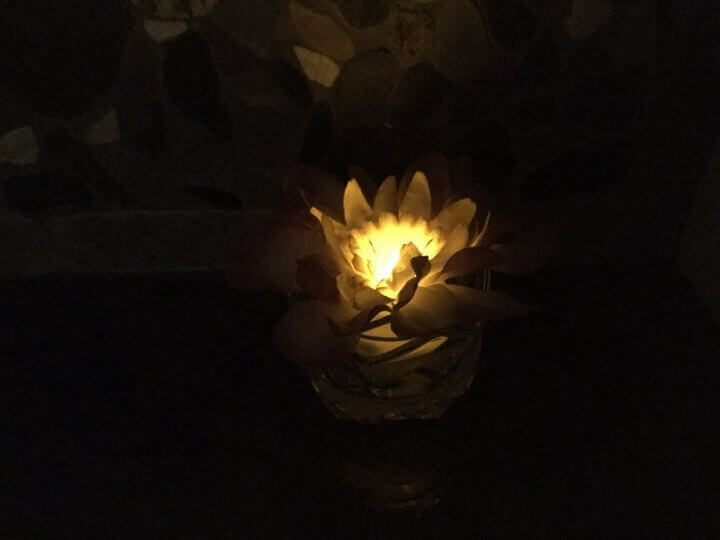 You’ll be sliding the flower layers over the the battery operated tealight. 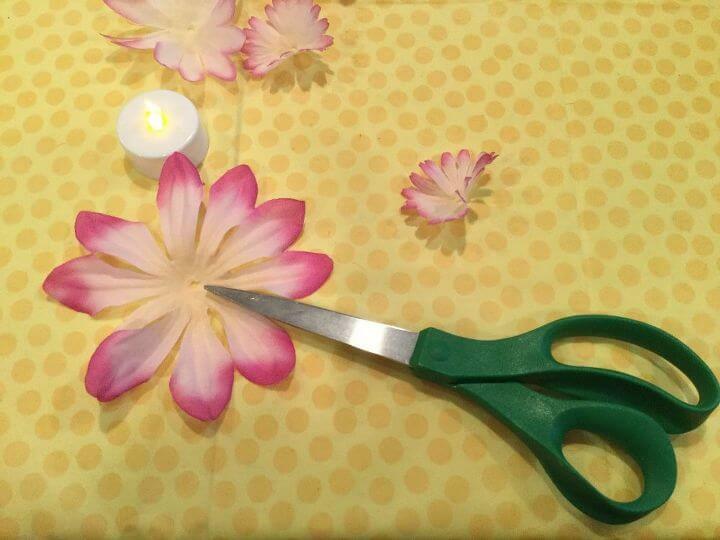 You will most likely need to cut a small slit in the center hole of the flower layers for it to fit over the tealight. 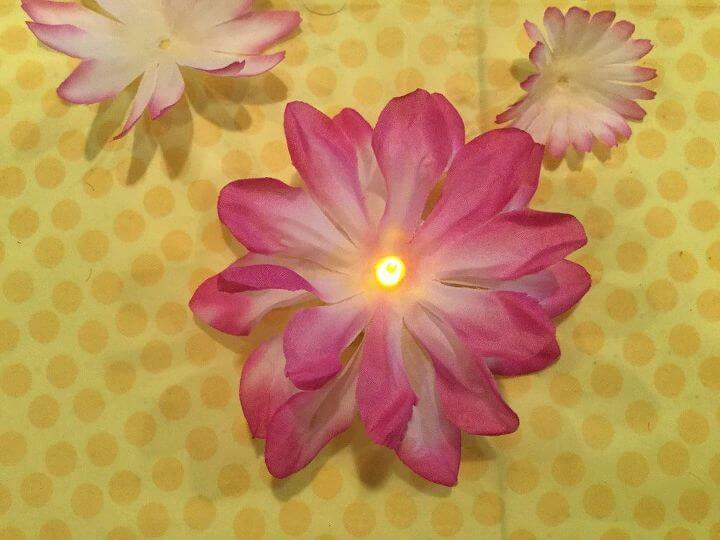 You’ll put each layer of the flower onto the battery operated tealight as you see here. 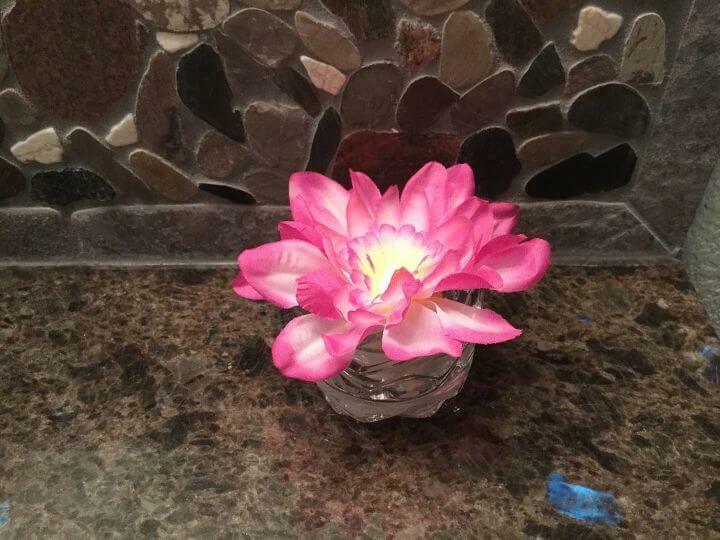 Continue to add each layer of the flower…. until it’s all put back together. Feel free to fluff it up. 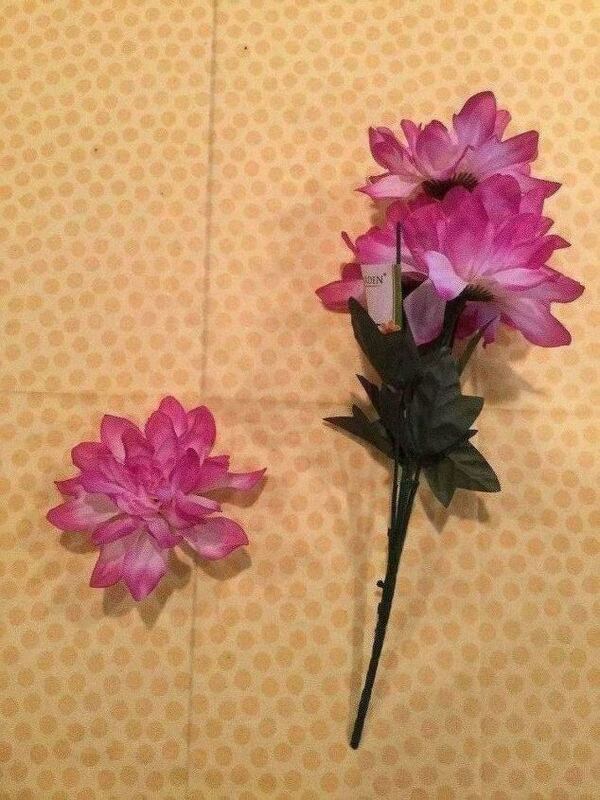 If you accidentally cut a slit too big, just add a little hot glue under the flower layer to hold it in place. Once your flower is complete, pick a candle holder of your choice to finish the display. You could also use a bud vase – there are so many possibilities. 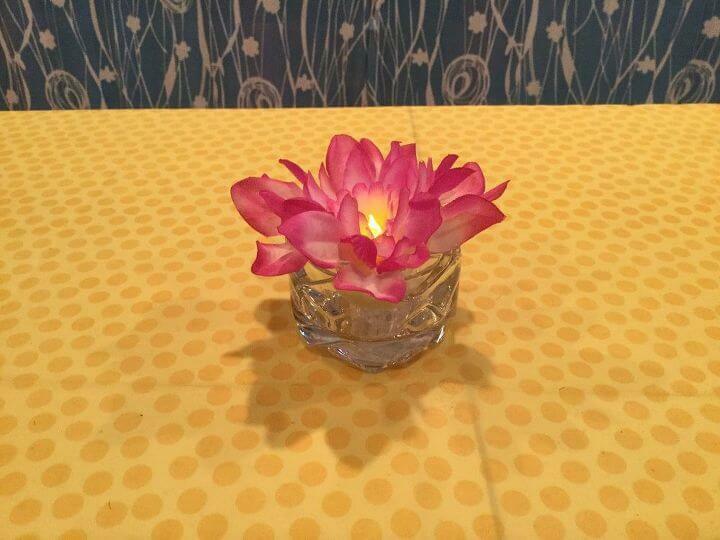 Place your flower onto your candle holder. 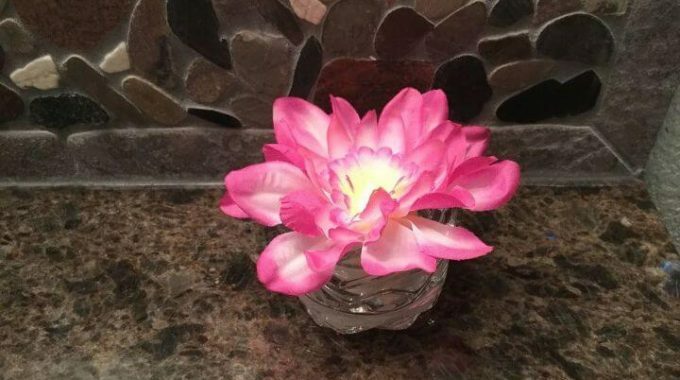 Place the flower somewhere in your house to enjoy. Looks good day and night. So many flowers, so many candle holders, so many options! Easy to adjust for the seasons. 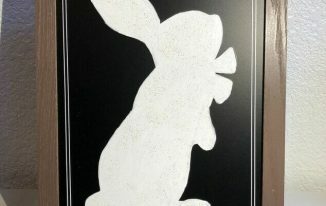 Add ambiance to any room, great for holiday centerpieces or nightlight. Keep it for yourself or give it as a gift – great for craft night too. Makes a great nightlight too. Wow! 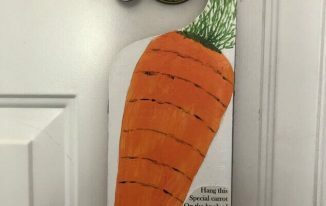 What a super simple and fun idea! I feel like I just found a Mother’s Day gift for my grandkids to create. 🙂 Thanks for sharing. Thanks so much Linda, and they are so easy and fun to make. I’ve made these for all seasons and given them as many gifts. That is really cute! I’ve never seen this done before. I’m definitely going to do this one– simple and adorable. Thanks for sharing at Thursday Favorite Things! Thank you so much Pam and I’m thrilled you want to give it a try. So easy and so many possibilities for all the different seasons, holidays, etc. Just wanted to let you know I’ll be featuring this tomorrow at Thursday Favorite Things! Thank you so very much Pam, looking forward to partying with you tomorrow. So creative! 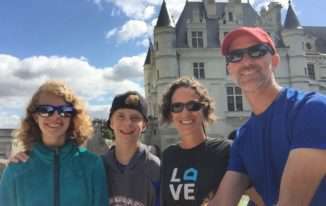 Here from Grace at Home. Thank you so much Kiki, and thanks for stopping by. So pretty! I got your msg that my link wasn’t working. Fixed now. Thanks for letting me know!! What a neat idea! And so easy to make too. Thanks for sharing at The Ultimate Pinterest Party this week! Thank you Ali and thanks for stopping by. 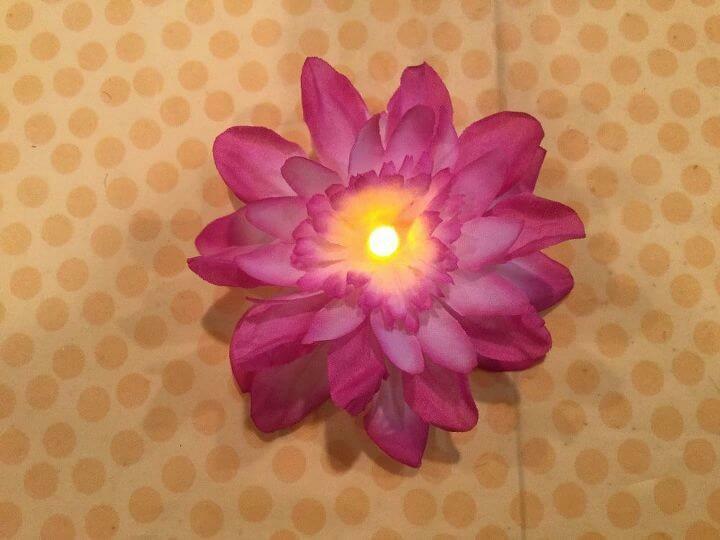 These are sweet little night lights for when my granddaughters sleepover, and I think they would be so cute for a wedding shower as well. Thank you so much Leanna! I love that you’d want them as nightlights for your granddaughters – so sweet. You’re right, so many different occasions that they’re adaptable for. This is so creative and so pretty! I tend to collect flower stems… I just can’t resist them when they are on sale. And I absolutely love this idea of turning them into a little faux candle. Thanks for sharing at Sweet Inspiration! Thank you so much Amy, and I’m thrilled you like the idea. Thanks for stopping by.